Neil Cloke produced an impressive performance at the Montpellier Marathon in Southern France last Sunday. Neil, who will take part in the London marathon next month, finished the course in 59th place, in a time of 3:21:12. At the latest Ashford parkrun, Trevor Kay was first of the club’s runners home in 3rd place in 18:23, just holding off Daniel Green in 4th place in 18:24, with Mark Attenborough next in for the club in 9th place in 19:48, followed by Shane Dragwidge in 15th in 20:27. Richard Baker finished 18th in 20:45, Stu Nunn 23rd in 22:02, Rod Kessack was 29th in 23:11, Claire Green was 3rd lady in 24:01, Andrew Smith finished in 28:49, Ann Fidge 2nd VW60 in 28:58 and Julie Foster came home in 30:49. Two of the club’s members took part in the Whitstable parkrun on Saturday. In windy conditions, Dean Bracken finished in 6th place in a time of 19:12, followed home by Paul Moses, who came in a time of 19:36, for 7th place and 1st MV50. 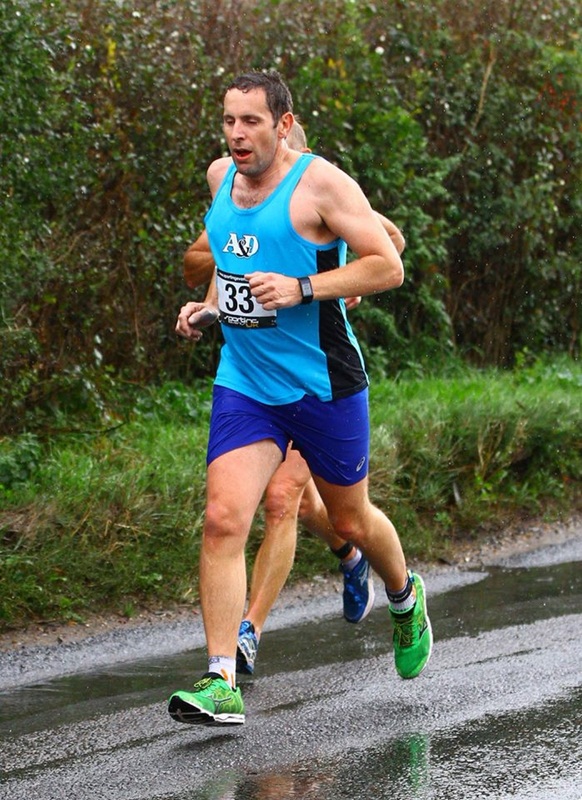 Ashford and District road running club members produced some impressive performances in races across the South East, despite the tough weather conditions. In the 33rd running of the Hastings Half marathon with a large field of over 3000 runners, Julius Sampson continued his strong running in 2017 by finishing in 87th place on the very testing hilly course that produced a tough finish with the strong headwind that the runners had to battle for the final few miles along the seafront to the finish. Julius, using the race as a warm up for the Brighton marathon next month, finished in an excellent time of 1:29:22, just ahead of Scott Lynch who came 92nd in a time of 1:29:47. Keith Haynes finished 263rd in a time of 1:38:16, and Mark Cleworth dipped under the 2 hour mark, finishing in 1:58:15. Running into a tough headwind at the Canterbury riverside 10k on Sunday, Daniel Green was first home for the club with an excellent 8th place finish in a time of 39:14, with Hazel Turner running a personal best as she came home as the 5th lady and 2nd in her age category in a time of 46:23. Rhian Shrimplin was the 9th lady in 47:55, Jonathan Wiles finished in 49:36, Julie Foster in 1:02:04 and Anne Healy in 1:05:11. 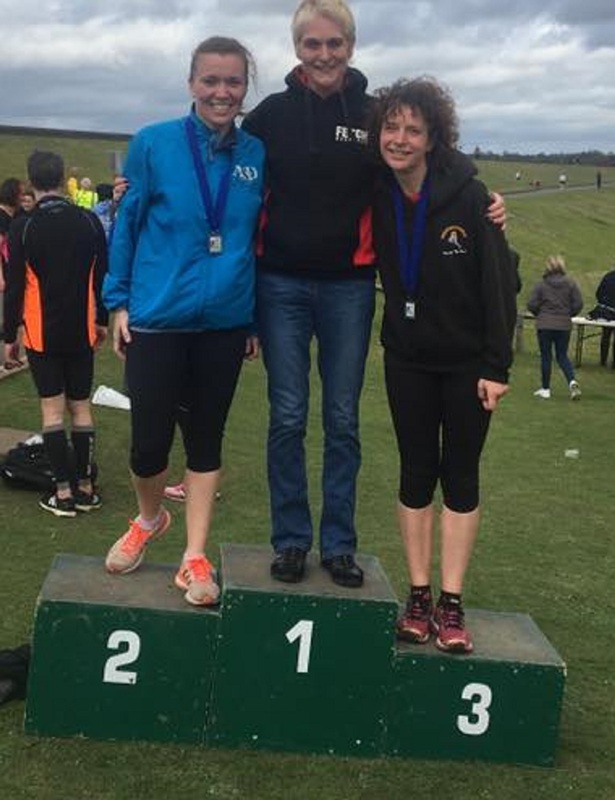 Danyel Carter finished as the 2nd lady at the Draycote 10 miler on Sunday in a time of 1:18:20. At the latest Ashford parkrun, Paul Moses finished in 2nd place in a time of 19:00, Shane Dragwidge was 10th in 20:21, Trevor Kay was 14th in 20:39, Mark Attenborough 16th in 20:51, Robert Carpenter 19th in 21:27. Stu Nunn ran a personal best with his 21st place in 21:35, with Terry Sellen 25th in 21:49. Rod Kessack was 36th in 22:59, Claire Green was the 1st lady in 24:22, Richard Baker finished in 25:11, Will Whittington in 25:35 and Ann Fidge in 28:47. 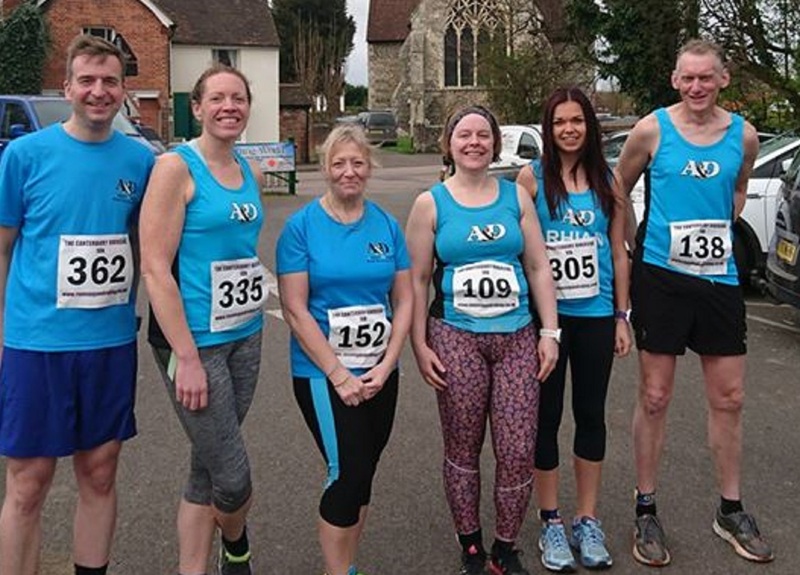 Ashford & District running club members had some impressive performances in the two races held on the fast and flat courses at Lydd on Sunday. In the Brett Lydd half marathon, Robin Butler was first home for the club with an excellent 17th place finish and the VM45 age category winner in a time of 1:24:56, followed home by Paul Moses in 21st place in a new personal best of 1:26:40. Also running personal bests were Jonny Wells, who finished 23rd in 1:27:04 and Mark Attenborough who placed 34th in 1:29:27, with Kevan James winning the MV55 age category with his 36th place finish in 1:30:12. Paul Brasington finished 63rd in 1:41:26, Gill O’Connor won the FV55 category in 1:42:18, Hazel Turner finished 69th with a new personal best of 1:41:38 and Mark Carlton also ran a personal best, finishing 87th in 1:45:03. Held at the same time as the half marathon, the Lydd 20 mile race is used as a warm up for the forthcoming spring marathons next month. Richard Baker was the first of the club’s runners home, as he finished 116th in 2:38:09, with Danyel Carter 177th in 2:45:36 (PB), Rod Kessack in his first race for the club coming home in a personal best time of 3:11:15, Edward Rodger finishing in 3:17:19, Helen Weeden in 3:26:00,Sue Reader in 3:27:43, Paul Bailey in 3:31:05 and Andrew Smith in 3:48:36. In other events Trevor Kay produced an excellent performance overseas at the Barcelona marathon on Sunday, finishing in a time of 3:03:09. Dave Hunt and Stu Nunn ran on the iconic Silverstone Race track in the Silverstone Half marathon on Sunday, as they prepared for their marathons next month at London and Brighton respectively. Dave Hunt ran a personal best with his 1:41:26 and Stu Nunn came home in 1:47:20. Rhian Shrimplin ran a new personal best at the Bath Half marathon as she finished in 1:45:21, with Anthony Brown finishing in 1:35:04. Orla Quearney completed the North London marathon in a time of 1:57:04. Steve Hickman completed another tough off road marathon at the Larmer Tree marathon, finishing in a time of 5:42:20. A big well done to all our club runners with great prospects ahead for the forthcoming spring marathons! 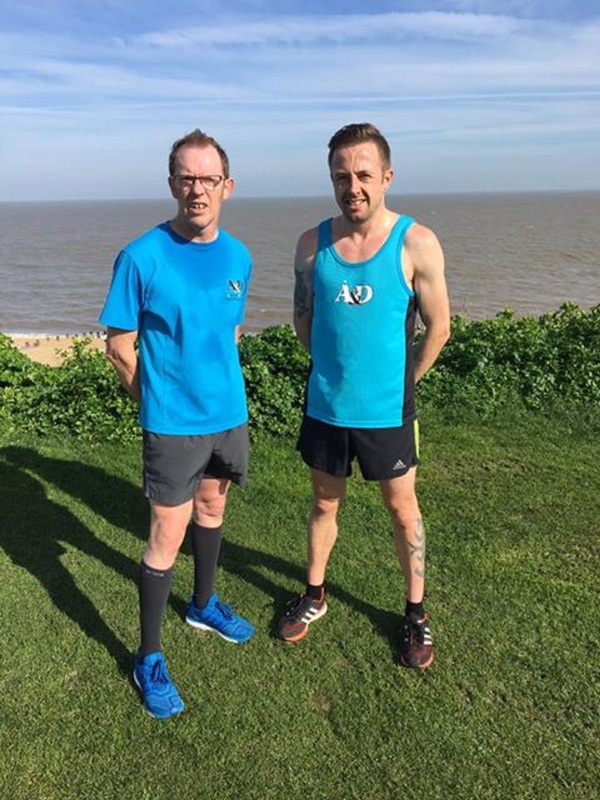 With the Spring marathon season fast approaching, Sunday saw two of the club’s runners take part in the Thanet 20, which is used as a warm up race for the Brighton and London marathons. In conditions that included driving rain and very strong winds on the 2 lap course around Cliffsend, Ramsgate and Broadstairs, Robert Carpenter battled the elements to record an excellent time of 2:34:12, which placed him in 33rd place and 13th MV40. Stu Nunn dipped under 3 hours to record a personal best of 2:55:44 and 101st place. Jon Wells recorded an impressive time of 1:27:47 in the Cambridge Half Marathon. This was good enough to place him 329th out of over 9000 finishers in the race. Mark Cleworth (pictured left) ran a strong race in the Eastbourne Half marathon on Sunday. In testing weather conditions, Mark came home in a time of 2:00:13. Steve Hickman ran the testing off road Steyning Stinger marathon. He completed his 133rd marathon in a time of 5:33:36. Rik Holden completed the tough off road Heartbreaker marathon in the New Forest in a time of 4:21:00. At the latest Ashford Parkrun, Trevor Kay was first home for the club with a 3rd place finish in 17:58, with Dan Green 6th in 18:50, Paul Moses 7th and 1st MV50 in 19:27, Shane Dragwidge finished 11th in 19:58, Scott Lynch was 15th in 20:20, Pat Butler was 18th and 1st MV60 in 20:29 and Keith Haynes was 20th in 20:32. Mark Attenborough came home in 24th place in 20:46, Terry Sellen was 36th in 22:07, Rod Kessack 42nd in 22:48, Claire Green was 7th lady in 24:15, Will Whittington 74th in 24:35, John Fidge was 1st MV65 in 25:37, Jon Wells finished in 28:20, Ann Fidge in 29:22 and Julie Foster in 30:47. 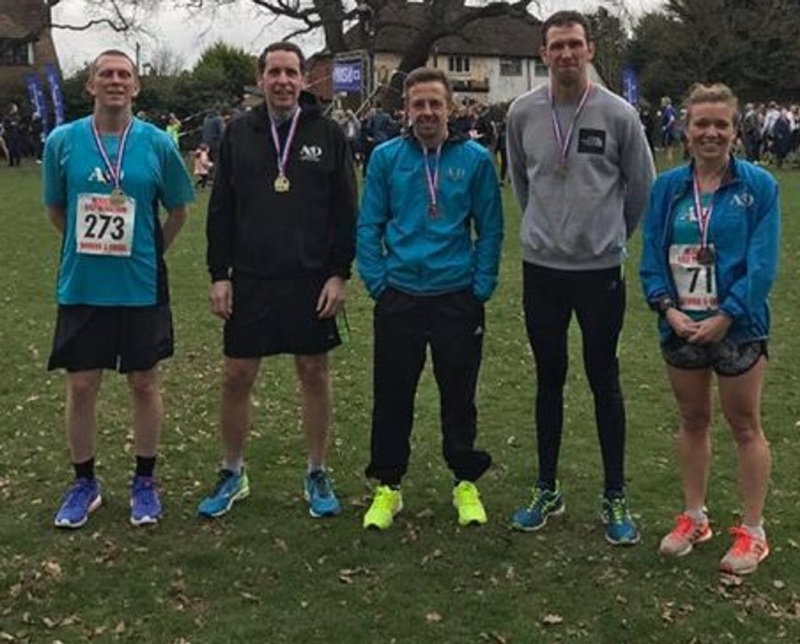 The club had a successful time at the Headcorn Half marathon on Sunday, with several runners producing personal bests, and the club winning the team prize with the lowest combined finish times of four runners. First home for the club on the fast Headcorn half marathon course was Jon Pearce, who finished in 5th place in an excellent time of 1:22:37, followed in by Richard Baker(13th MV40) who ran a personal best of 1:29:37 in 37th place, with Dean Bracken in 59th place in 1:34:02 and Paul Brasington also running a personal best in 80th place with his 1:37:16. Danyel Carter continued her rapid improvement as she knocked an impressive 13 minutes from her personal best with her time of 1:37:42, giving her 9th placed lady in the race, and Stu Nunn (40th MV40), after his personal best at the Deal Half marathon, knocked another 3 minutes off with his 1:44:44 finish. At the latest Ashford parkrun, Paul Moses was first home for the club as he finished in 6th place and 1st MV50 in a time of 19:15, with Dan Green close behind in 7th in 19:27 and Shane Dragwidge in 8th in 19:32. Mark Attenborough ran a personal best with his 10th place finish in 19:44, Keith Haynes finished 18th in 20:53, Pat Butler was 20th and 1st MV60 in 21:24, Terry Sellen 25th in 22:02, Stu Nunn 27th and a personal best in 22:24 and Rod Kessack 33rd in 23:01. Rhian Shrimplin was the 4th lady home in 23:16, Neil Hope came home in 26:16, Steve Wellsted in 27:39, Simon Jackson in 29:05, Julie Foster in 30:53 and Claire Green in 32:37. Two of the club’s runners took on the challenge of the annual Tenterden 5 mile race on Sunday. Running along a route around the quiet lanes of the village of Wittersham, near Tenterden, the runners had to contend with a testing hilly course. 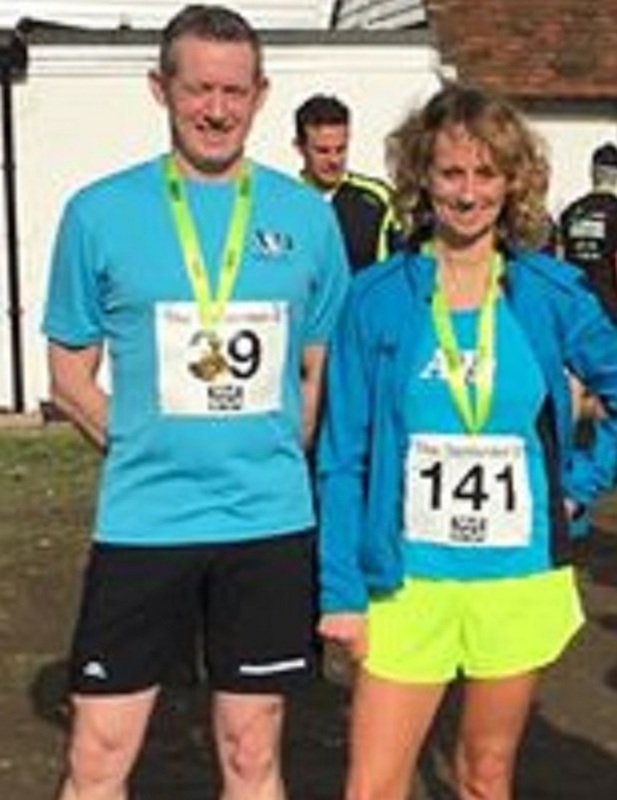 Gill Pragnell ran an excellent race to finish as the 3rd lady and 26th overall in the race in a time of 35:46, with Mark Cleworth, using the race as a warm up for the tough Hastings Half marathon next month, finishing in 61st place in 39:49. 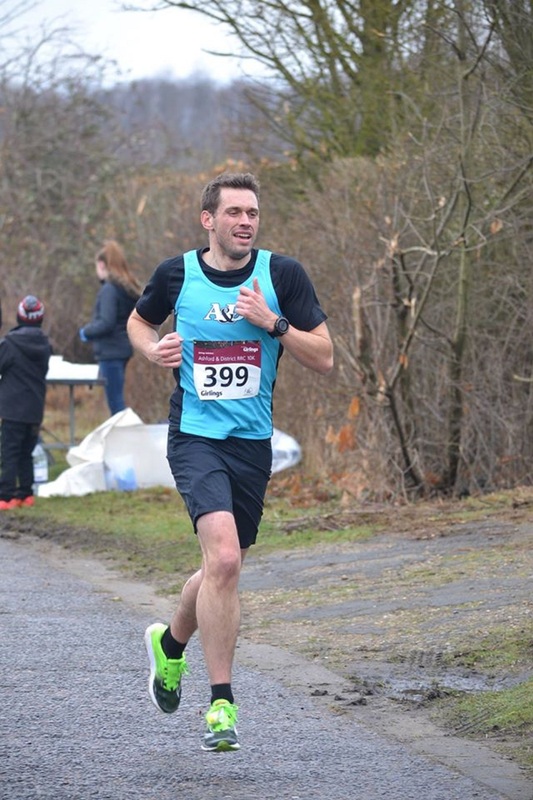 Jon Wells once again showed his class on the very tough off road courses, as he finished an excellent 4th place overall and 2nd MV40 at Trosley Park 10k on Sunday. On the trail course around the beautiful setting of Trosley Park near Rochester, Jon came home in a time of 46:35. At the latest Ashford parkrun, Trevor Kay was the first of the club’s runners home as he finished in 2nd place in a time of 17:54, followed home by Shane Dragwidge, who again impressed with a 4th place finish and a new personal best in 19:06, with Paul Moses close behind in 5th place and 1st MV50 in 19:11. Dean Bracken was 8th in 19:37, Scott Lynch 9th in 19:42, Richard Baker, now in training for the London Marathon in April, was 12th in 20:13, Pat Butler was 14th and 1st MV60 in 20:29, with Mark Attenborough 15th in 20:30 and Terry Sellen 24th in 21:57. Robert Carpenter was 34th in 22:59, Stu Nunn 41st in 23:23, Danyel Carter 6th lady in 24:08, Will Whittington 58th in 24:20 and Julie Foster 35th lady in 30:42. Helen Weeden was first home for the club and broke her personal best in Worthing Half marathon on Sunday. 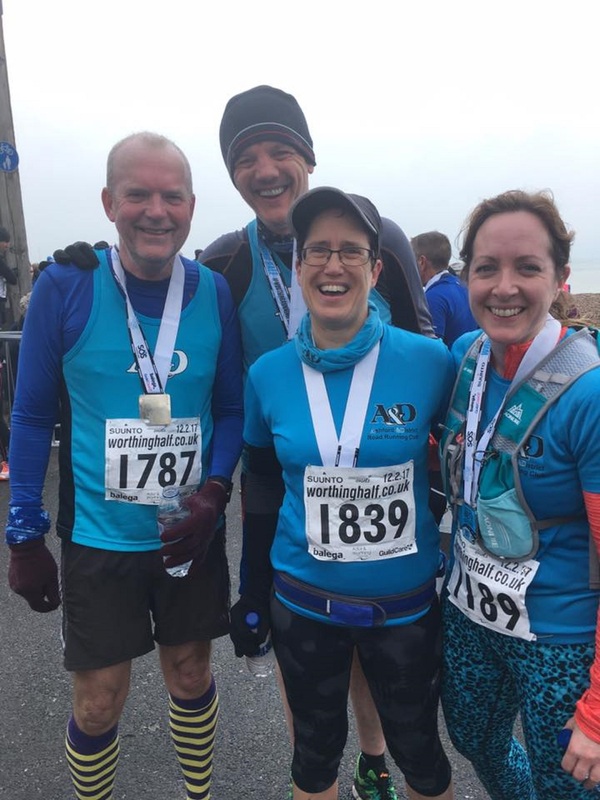 Run on a fast and flat course around the seafront of Worthing, Helen came home in 874th and 37th in her age category in a time of 1:57:18, with Eddie Rodger close behind in 1:58:57, Steve Hickman in 2:01:19 and Sue Reader, now in training for the Brighton marathon in April, finishing in 2:05:37. 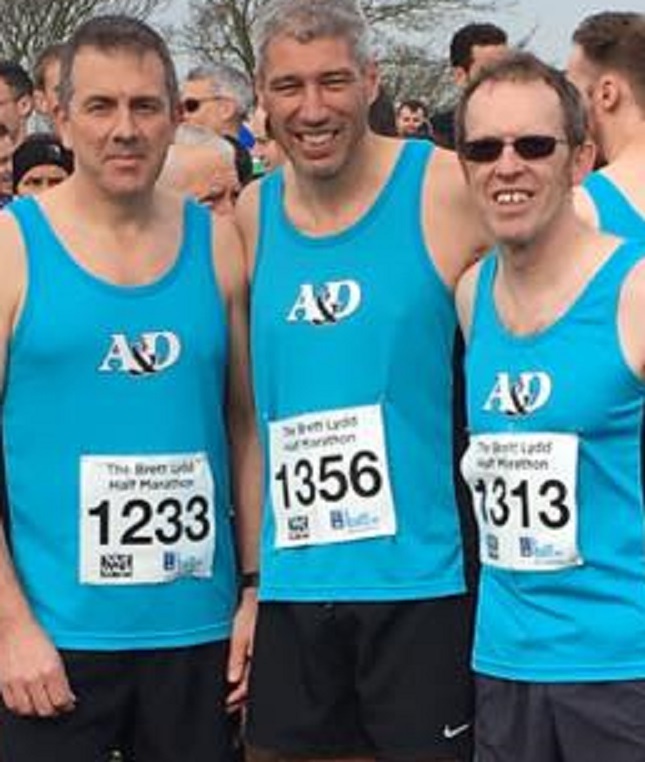 With the spring marathon season not far away, two club members, Mark Carlton and Stu Nunn, used the Deal Marathon on Sunday as part of their build up to the Brighton marathon. On the very undulating course around the villages of Betteshanger, Sutton, Ripple, Langdon and Martin Mill, Mark Carlton broke his personal best as he was first home for the club in 106th place in a time of 1:46:53, with Stu Nunn knocking an impressive 7 and a half minutes from his personal best as he came home 114th in 1:48:14, with Rhian Shrimplin finishing 153rd in 1:53:51. At the latest Ashford parkrun, Paul Moses was first home for the club in 5th(1st MV50) in a time of 19:30, Paul Brasington was 14th in 21:27, Terry Sellen 16th in 21:35, Dean Bracken 19th in 22:24, Richard Baker 20th in 22:35, Mark Attenborough 21st in 22:41, William Whittington 37th in 24:34, Danyel Carter finished 61st in 27:37, Sue Reader 62nd in 27:37 and Julie Foster finished in 33:18. Robert Latala broke the club’s 10k record with his first place finish in the Girlings Solicitors Ashford & District 10k on Sunday. He held off the challenge of Lloyd Worsley of Folkestone running club, and Mike Coleman of South Kent Harriers on the fast course, to finish in a time of 32:37, breaking the previous record also held by him of 32:47. Trevor Kay produced another strong run with his 14th place finish in a time of 37:05, finishing just ahead of Daniel Green who was 15th and 1st MV45 in 37:26, with Cj Lattimer finishing in 24th place in 38:23, and Kevan James finishing 40th and 2nd MV55 in 41:02. Danyel Carter produced another personal best with her 64th and 8th lady finish in 43:13, Paul Brasington was next in for the club in 73rd place in 43:30, with Glenn Holiday in 82nd place in 44:05, Gill Pragnell 86th in 44:31, Terry Sellen running a personal best in 45:22, Jo Lattimer finished in in 45:47, Gill O’Connor was the 1st WV55 in 46:20 and Ben Black came home in 49:39. Due to public demand the 2017 event is reverting to the original route providing there are no adverse weather conditions. Click the following link for route details on Strava; A&D 10k route. Richard Baker, after his 1st place finish at the Ashford parkrun race the previous week, took on the challenge of the Hadleigh Legacy 10k run on Sunday. The race offered the runners the chance to test their stamina and endurance on one of the iconic venues of the London 2012 Olympic mountain bike course in Essex. 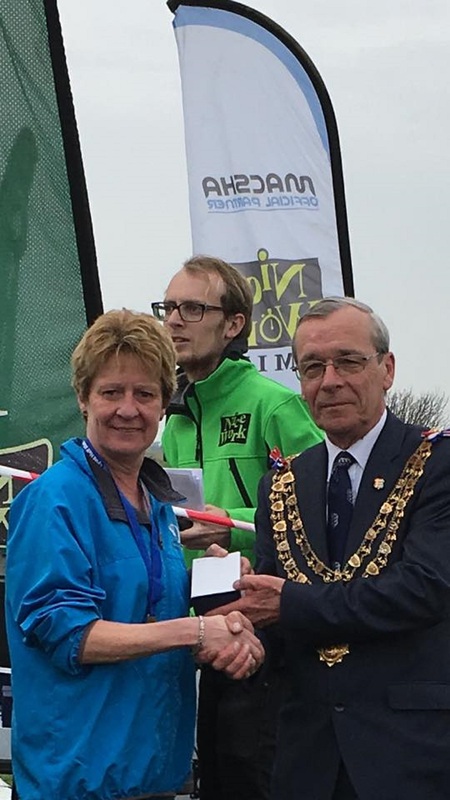 Richard overcame the exceptionally hilly and muddy off road course around the grounds of Hadleigh castle to record an excellent time of 49:23 and 22nd place in a field of over 330 runners, 2 minutes quicker than the previous year. At the latest Ashford parkrun, Daniel Green was the first of the club’s runners home with a 2nd place finish(1st MV40) in a time of 18:25, with Dean Bracken 6th in 19:49, Shane Dragwidge was 13th in 20:36, Mark Attenborough 16th in 20:57, Pat Butler 17th (1st MV60) in 21:06, Danyel Carter was the 1st lady with a personal best of 21:32 and Terry Sellen finished 24th in 22:09. Claire Green was the 5th lady in 23:29, Richard Baker 37th in 23:31, William Whittington 50th in 24:47, John Fidge was the 1st MV65 in 25:15, Mark Cleworth ran a personal best in 25:40, Simon Jackson finished in 27:09, Kirsty Farrant in 29:14, Anne Fidge was the 2nd WV60 in 30:02 and Julie Foster finished in 31:36.